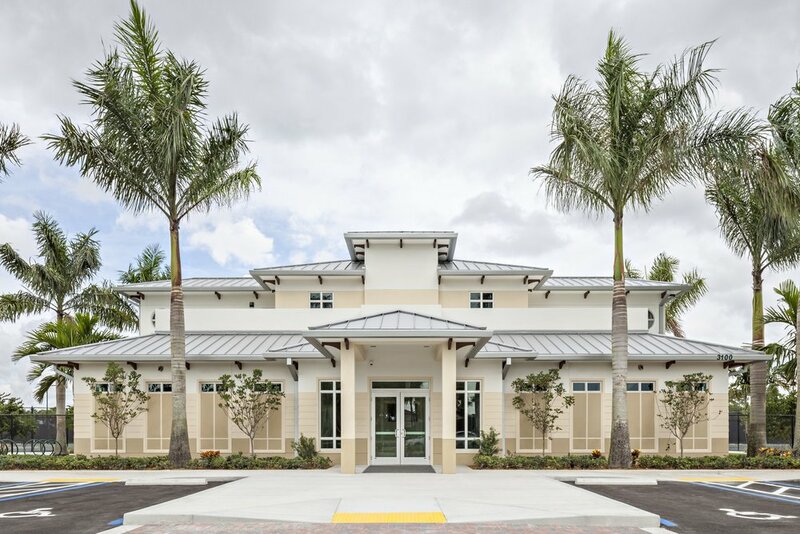 Village of Wellington Tennis Center — Song + Associates, Inc.
Song + Associates and Pirtle Construction Company were selected as a Design/Build Team to provide a new 21-Court Tennis Facility with Pro Shop/Lounge and a new 26,000 GSF Community Center to integrate into their Municipal Campus. The Tennis facility was designed in concert with V*Starr Interiors with participation from Venus Williams. Amenities include retail shop, locker facilities, and a 2nd story player lounge with balcony overlooking the courts. The facility is designed to take full advantage of a lake-front site, providing outdoor balcony and plaza features. An accessory building for boat storage is also provided for the rowing club. The site includes new parking and landscaping, providing meandering pedestrian paths with benches and picnic nodes linking to existing campus amenities including an amphitheater, aquatic center, playground, and Civic Hall.